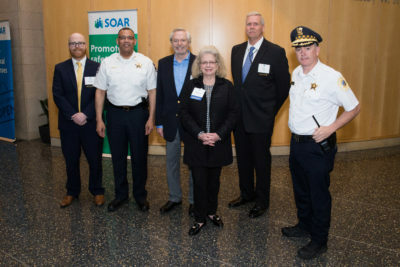 On Thursday, May 14, 2018, SOAR members and neighbors gathered at Northwestern’s Baldwin Auditorium for the annual SOAR Safety Forum. Topics included everything from pick pocketing to identity theft, emergency public warning tools, when to call 911 versus 311 and more. The program began with a special introduction to the new Commander of the 18th District, Daniel O’Shea. Commander O’Shea was previously the executive officer in the 6th district. 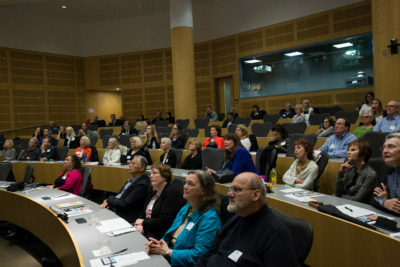 The program featured the following speakers. 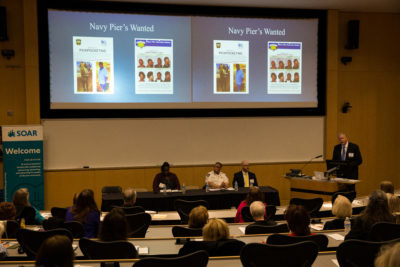 John Graeber, Director of security at Navy Pier, showed video examples of how “pickpocket crews” operate, and how Navy Pier Security has successfully deterred them from the Pier. 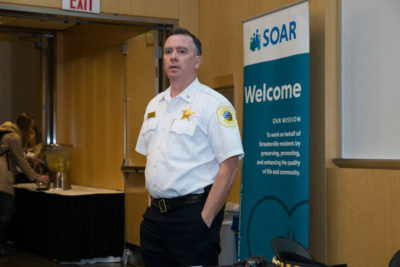 He stated that Navy Pier is actually one of the safest places in Chicago as a result of their ongoing security efforts. 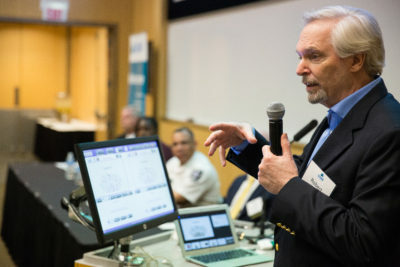 Bruce Lewis, Northwestern University Chief of Police. 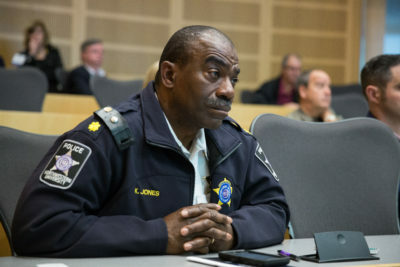 Chief Lewis discussed the increase in crime the Northwestern downtown campus faced last fall, and what they have to prevent further incidents. This included hosting town halls, increasing security staffing around the campus, and working with partners to better control the area. 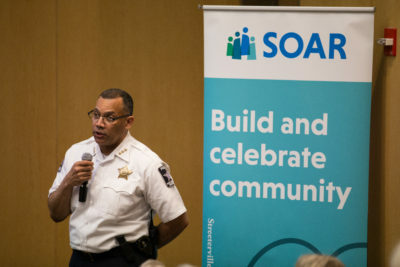 He also reminded the audience that everyone in the community can use the Emergency Blue-Light Phones to report any incidents or suspicious activity. 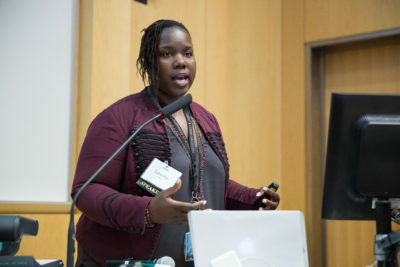 Latesha Tubbs, Senior Emergency Management Coordinator of the Office of Emergency Management and Communications (OEMC), discussed Notify Chicago, a subscription-based text message/email alert system used for emergency and non-emergency events (visit www.notifychicago.org to subscribe). 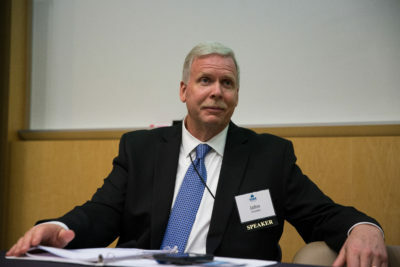 Daniel Brown, Attorney and Consumer Advocate discussed the threat of Identity Theft and explained how to prevent it. You can visit www.annualcreditreport.com to annually see your credit report for no cost. By looking at your credit report and checking all of your statements, you can tell if someone has stolen your identity. 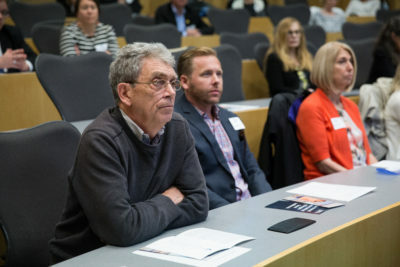 Bob Johnson Chair of the Safety and Well Being Task Force and moderator for the night, organized the stellar line up of speakers for this interesting and informative event. 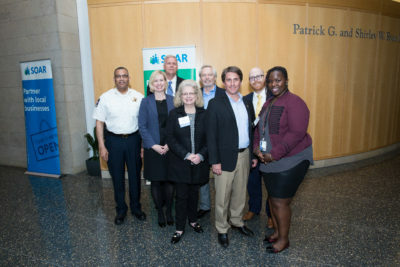 We are thankful that Bob is part of the SOAR team and appreciate all he has done to promote safety in Streeterville. 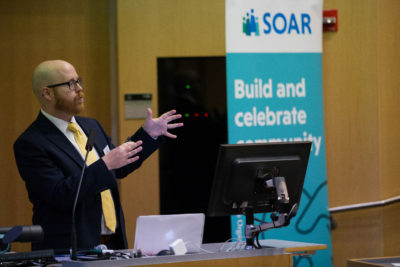 Lastly, special thanks to our generous sponsors, Draper & Kramer and Northwestern University, as well as all the community members who risked the stormy forecast to attend!